Mercedes-Benz has authorized its U.S. dealers to spend up to $2,500 to keep its 2014 S-Class buyers happy after the purchase. In a brilliant marketing move, Mercedes-Benz USA will pamper their new 2014 S-Class customers and will spend good money to do it right. How would you feel if after buying a luxury car you were treated like royalty? That’s exactly what Mercedes is doing to get their customer service rating up. According to an article from Automotive News, S-Class buyers are responding to the new program called MB Select. Mercedes actually initiated the program out of necessity. Mercedes-Benz has one of the worst customer service ratings of all the luxury brands. Mercedes ranked ninth of 11 luxury brands in the 2013 J.D. Power and Associates Customer Service Index Study, which measures satisfaction with dealership service operations. For a premium brand that has a goal to be the number one luxury brand in the world, that’s unacceptable. So Mercedes went to the drawing board and came up with a plan to change that. The new MB Select program allows its dealer network to spend up to $2,500 per S-Class customer to keep them happy and satisfied with their new flagship model. Mercedes has spent tons of money telling the world that the new S-Class is the “best car in the world,” and if it is, they need to treat customers like they are the best too. And Mercedes is giving the S-Class buyers the first-class treatment that the new flagship should deliver. Dealers have been given the freedom to fix problems , no matter how minor, quickly without factory pre-approval. Dealers can use the money with “no questions asked” to keep S-Class customers happy. The money can be used on things like free dinners to expensive restaurants, gift cards and perks that will pamper the S-Class customers. The new MB Select program is brilliant and seems to be working extremely well already since the S-Class launched in the U.S. in September. According to Automotive News, a customer came in for a check engine light that was on and it was fixed immediately. He was given a gift card for a nice dinner for the inconvenience. The customer was so impressed with the service and care, that he came in the next day and bought a new Mercedes SL off the showroom floor. Now that is a successful program. Another customer came to the dealer complaining that the compartment over the visor that holds sunglasses wasn't big enough for his designer shades. Now most automotive brands would have laughed and told the customer to “get over it.” But the Mercedes dealer went out and bought the unhappy customer a pair of Ray-Ban sunglasses that fit because of their shape the Automotive News story said. It cost the dealership $150, "and he was so delighted." Not that is how to improve your customer service rating. If Mercedes-Benz is communicating to the world that the new 2014 S-Class is the best car in the world, they are definitely backing it up and giving S-Class buyers world-class treatment they deserve. 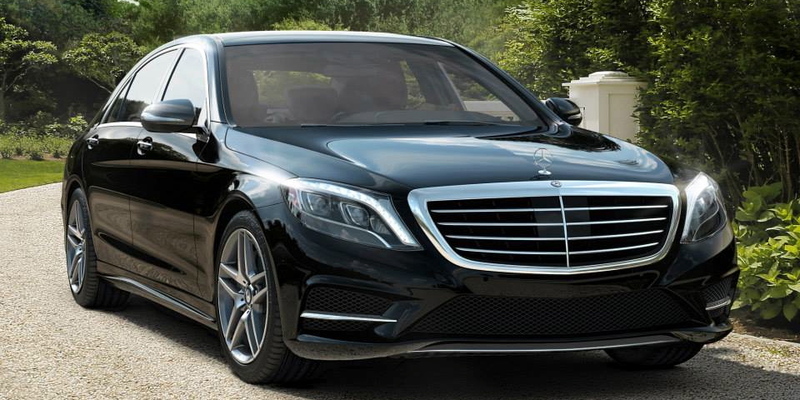 If you just spent $93,825 on a new 2014 Mercedes S550, would you want this kind of treatment? Look for Mercedes to move up to the top in their customer service rating and be the number one luxury brand in the world by 2020. While here in Canada, I ordered the car in November, and until December, there is no single unit to be shown to customer yet (my order was based on imagination and youtube). And in the order form, it was written very clear to expect delivery in somewhere May 2014. First class doesn't wait that long, does it? I'm sorry, but limiting this to S-Class only buyer is not going to get there ratings up. Their bread and butter sedans (E-class, C-class, ML-class and GL-class) are their high volume leaders. By this logic Mercedes has understood that I has terrible customer service but in order to fix it they pamper buyers of the very expensive small volume seller and forget about the other customers. This is why Lexus continues to be the leader in customer service. They may not have the most exciting fleet, but they are TOP in reliability and they treat the customer that buys an RX450 for 43K to the customer that spends 90K on a LS460L the exact same. You don't need to give a customer a gift certificate to a restaurant if you have fast, efficient and courteous service. But hey, at least that guy got a free meal. I wonder will he still be content with free meals when his New S-class really begins to fall apart like they eventually do?